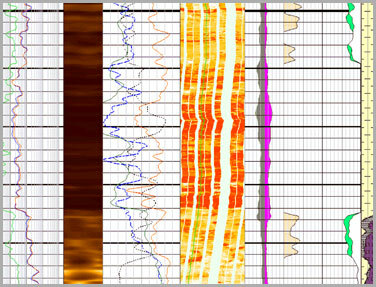 Comprehensive log data interpretation of exploratory and development wells. Integration of log data with geological and reservoir data for better reservoir management and improved recoveries. Planning and coordination of workover jobs in old wells to improve production. Planning of logging jobs in exploratory and development wells for better reservoir evaluation and to control logging cost. Preparation of tender documents for logging services, bid evaluation and award of contract.